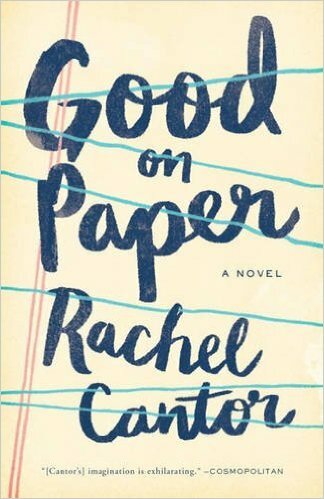 a book chick: "Good on Paper"
The very flawed heroine is working temp jobs raising her out-of-wedlock child with her seemingly homosexual best friend when she is contacted out-of-the -blue to translate a Nobel winning poet's new work. What ensues is a diatribe on Dante - perhaps the author studied in grad school? So. Much. Detail. I took Milton for a semester in college - so I kind of get studying a poet in depth - and, wow, I cannot remember that much about Milton. I gamely tried to get through the Dante bits to get to the plot. Es.O.Teric. The plot had a twist I wasn't expecting - far too distracted trying to see if any of the Dante bits were relevant to the heroine - so it was a satisfying read in that sense. I did enjoy getting the behind-the-scenes look at how translations can miss the essence or change the essence of the author's meaning/intention. I chose it for beach reading; I'd like to think my lazy reading of this book is due to vacation-mode and not that it's just over my head. Sigh. Moving on. my verdict: An okay read. Unless you LOVE Dante. Now this is a helpful review - I came across this one and thought it sounded good on paper as well but appreciate the heads up. Yep - I'm just not that into Dante. I'll skip it and read one of your recommends.